Don’t Give Me Any Old Flannel! A wool suit can feel like tissue paper during the Winter. However, if you wear a flannel suit, the cold will be unable to penetrate through its warm fibres. Sometimes, all you need is a flannel suit so that you just throw on a scarf and you are ready to go. Ruggedness and durability are the main attributes of a flannel suit, whilst every aspect is exaggerated, right down to the stitching, giving it a superior feel and look. It’s not your regular business suit, but it has the edge in style and sophistication. The flannel suit is made from English spun yarn and is finally cut in England. This hand-tailored suit takes 8-9 weeks to make whilst our Express Service can be accomplished within a tighter time frame. The process involves a halfway baste fitting and is followed by a subsequent forward baste fitting and, as a result the finished ensemble is delivered to our Clients in line with all of their requisites. 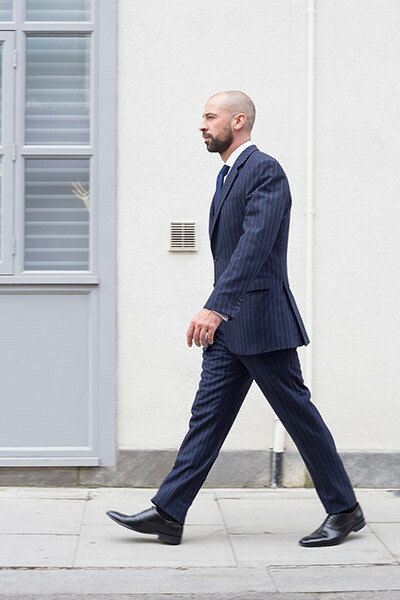 See also: Bespoke Flannel Suits, Chalk Stripe Flannel Suits, Double Breasted Flannel Suits, Flannel Suits from Savile Row, Grey Flannel Suits, Hand Made Flannel Suits, Navy Flannel Suits, Slim Fit Flannel Suits, Three Piece Flannel Suits, Two Piece Flannel Suits. The Flannel Suit can be fun, flamboyant and fix the freeze. 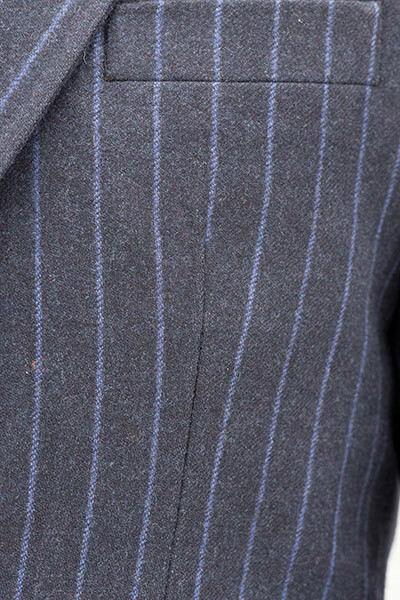 During the winter, a wool suit can feel like tissue paper. Put on flannel and the cold will not penetrate. Bespoke flannel suits offer a degree of warmth.